Intricacies of these diagnoses can get tricky. 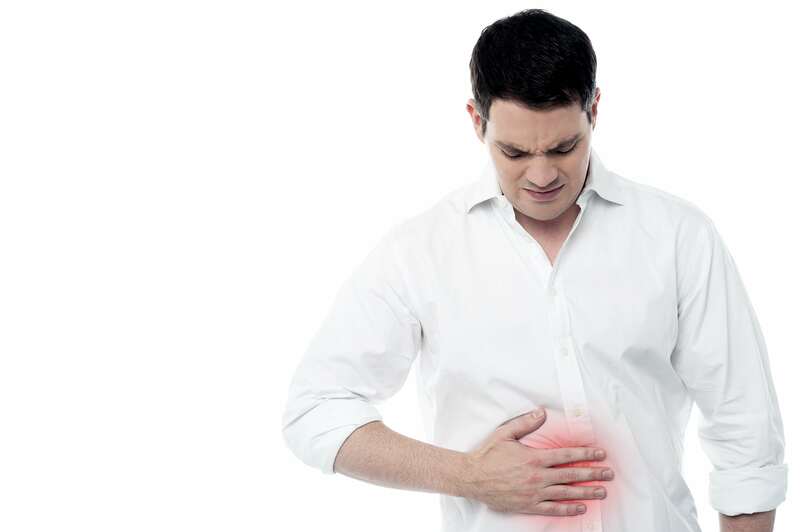 In order to select the appropriate ICD-10 code for patients reporting with abdominal issues, you'll need to be sure to be specific, as there are a lot of moving parts in most stomach pain diagnoses. Help's here: All you have to do is apply three basic coding concepts - severity, location, and code-specific Excludes1 guidelines - for accurate documentation of this ubiquitous condition. Don't rely on your gut when coding for stomach pain; use these tips, and assign to the proper ICD-10 code for every patient. The R10- codes are broken down by severity of pain, with the most painful condition, R10.0 (Acute abdomen) appearing first. From there, ICD-10-CM goes to the more general term, "pain," (for example, R10.1- (Pain localized to upper abdomen)) before representing the lowest levels of the intensity scale, tenderness and rebound tenderness, with the R10.8- (Other abdominal pain) codes. Chelle Johnson, CPMA, CPC, CPCO, CPPM, CEMC, AAPC Fellow Billing/Credentialing/Auditing/Coding Coordinator at County of Stanislaus Health Services Agency in Modesto, California, offers these useful definitions of tenderness to help you code with precision. Tenderness on its own, Johnson notes, "is pain that occurs when pressure is placed on various areas of the abdomen." Rebound tenderness, on the other hand, is slightly different, Johnson says, "as the patient notes the pain not at the application of the pressure but when the pressure is removed." Both the upper and lower abdominal codes are further divided into right and left quadrants - designated by fifth digits 1, for the right side, and 2 for the left - to add further specificity. And both code groups also include a specific code that pinpoints location by anatomical region rather than quadrant. So, you would code pain right below the ribs in the upper abdomen as R10.13 (Epigastric pain), while you'd code pain adjacent to the navel in the lower abdomen as R10.33 (Periumbilical pain). Things get a little trickier for coders once they get to the R10.8- (Other abdominal pain) codes, as here the locations are all grouped together under the R10.81- (Abdominal tenderness) and R10.82- (Rebound abdominal tenderness) classifications. Location information in these code groups gets moved to the sixth digit, producing such codes as R10.811 (Right upper quadrant abdominal tenderness), R10.816 (Epigastric abdominal tenderness), R10.822 (Left upper quadrant rebound abdominal tenderness), and R10.825 (Periumbilic rebound abdominal tenderness). Kent Moore, senior strategist for physician payment at the American Academy of Family Physicians, adds a final note of caution for coders regarding the Excludes1 notes for R10 - because there are plenty. First, Moore points out, "Overlooking the Excludes1 and Excludes2 notes right after R10 and focusing only on the Excludes notes embedded deeper in the code series" can pose problems for coders. So, Moore observes, coders should pay close attention to the note that N23 (Unspecified renal colic) is an Excludes1 for all the R10.- codes. Colic itself is also subject to its own note that states you cannot code R10.83 (Colic) with colic in an adult and child over 12 months old, which should be specified as R10.84 (Generalized abdominal pain). And R10.84, in turn, has its own Excludes1 note warning coders not to code it with R10.0 (Acute abdomen) codes that contain a description that they are, confusingly, to be used for severe abdominal pain (generalized). Coders should also note that the R10.0- codes are, themselves, an Excludes1 for codes in the R19.- (Other symptoms and signs involving the digestive system and abdomen) set. This leads Moore to an important observation for coders. "It is important to emphasize that R10 is a 'signs and symptoms' set of codes," Moore concludes, which explains why several of the other Excludes1 notes in the series warn coders not to code R10.13 with the specific diagnosis K30 (Functional dyspepsia) and R10.2 (Pelvic and perineal pain) with another specific diagnosis, N94.81 (Vulvodynia). And, Moore adds, "if the practitioner makes a definitive diagnosis - for example, appendicitis [K35-K37] - then the more definitive diagnosis should be coded instead." The lesson for coders here is clear: coders should not, on their own, determine a more specific code if the provider has not documented that specific diagnosis. Providers must be specific, and if they are not, it is imperative that the coder inform the provider of codes that are more specific so that the note can be amended to demonstrate greater specificity.